The Highland Pony is an ancient breed whose hardy constitution has been formed over centuries by the incredibly harsh conditions found in the Scottish highlands and Isles. Due to the rocky climate these ponies are incredibly sure footed and can not be convinced to step on ground they believe to be unable to hold their weight. 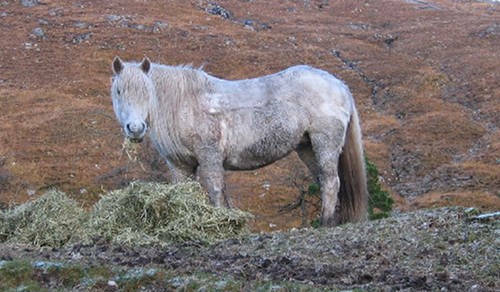 This Pony has been native to Scotland since before the Ice Age and the breed originally came in two distinct varieties: the Scottish Mainland & the Western Island which was lighter and smaller of the two. Known for centuries by farmers for their handiness in difficult terrain and for war as they were easy to keep and virtually indestructible. More recently the Highland breed became known for trekking & trail riding, with their inherent sure-footedness & docile nature. Today there is a wide variety of Highland types an that is reflected in the array of different ways they are used. Breeding records have been kept since 1896 and the Highland Pony Society was founded in 1923.
chestnut | grey | bay generally with a dun dilution and primitive markings. 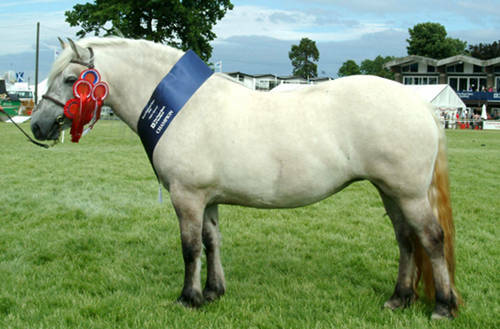 Do you have images or know more about the Highland Pony breed? I’d love help completing this page, please contact me to get involved.